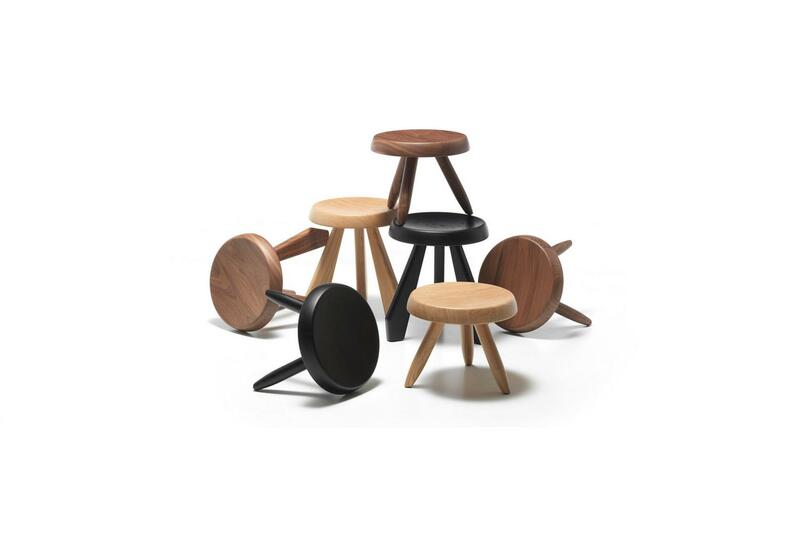 High stool characterized by three legs "cut" finished, the stool comes in three solid wood finishes: natural oak, black-stained oak, natural American walnut. 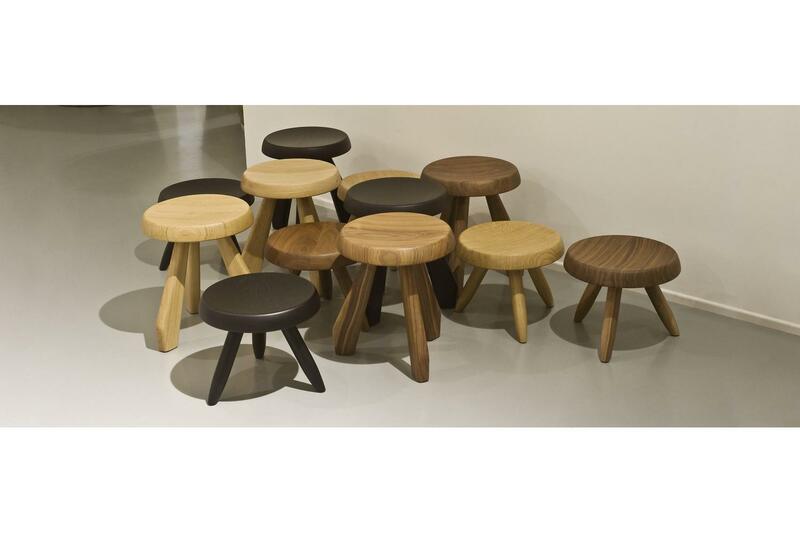 Low stool featuring three turned legs, the stool comes in three solid wood finishes: natural oak, black-stained oak, natural American walnut. 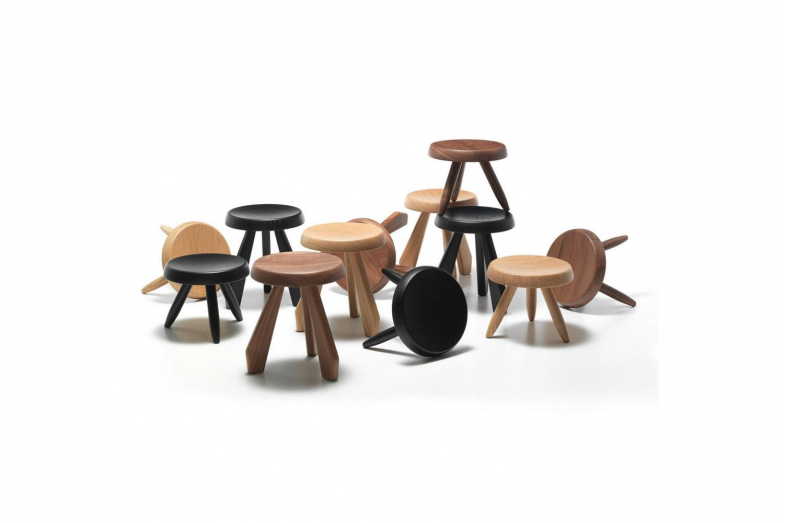 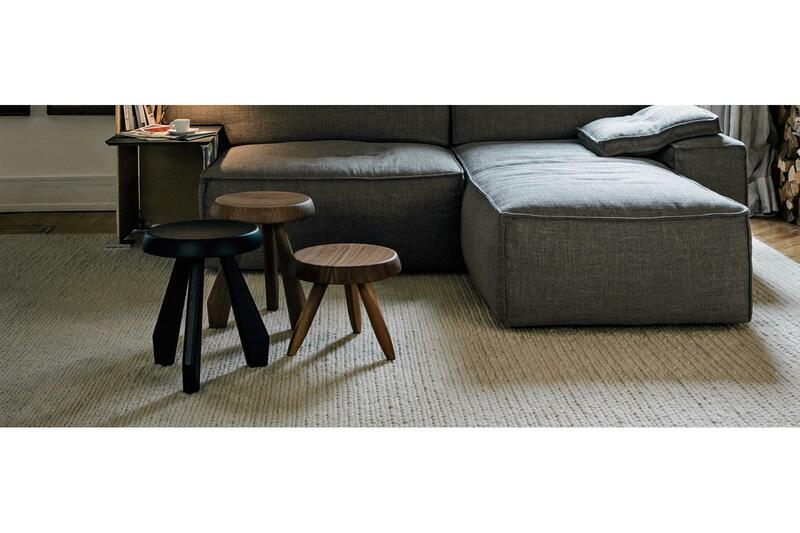 Highly stylised milking stool designed by Charlotte Perriand for her mountain chalet in Meribel in France. 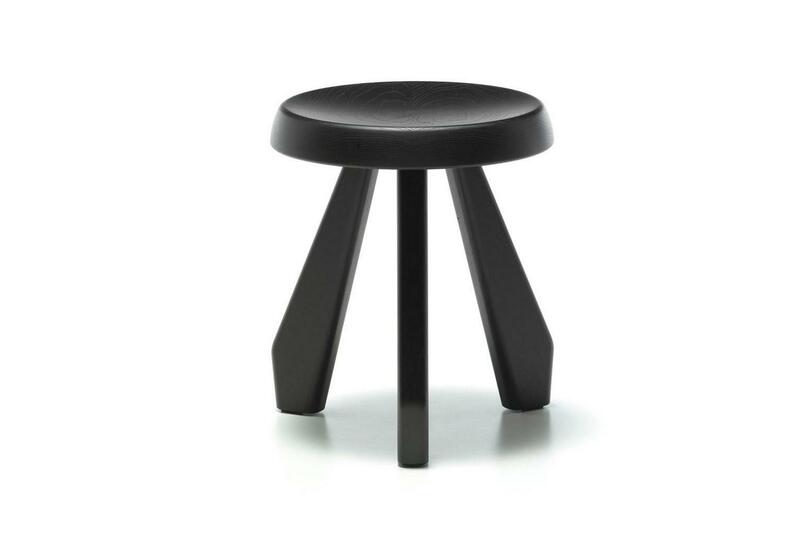 This stool was inspired in both its use of simple materials and in its shape by the architecture of interiors typically found in the Alps. 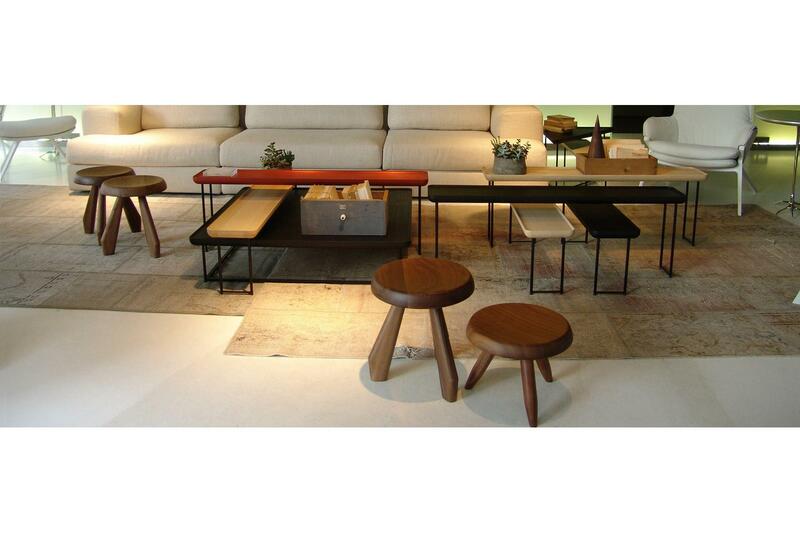 Shown for the first time in Tokyo at the Synthèse des arts exhibition in 1955. 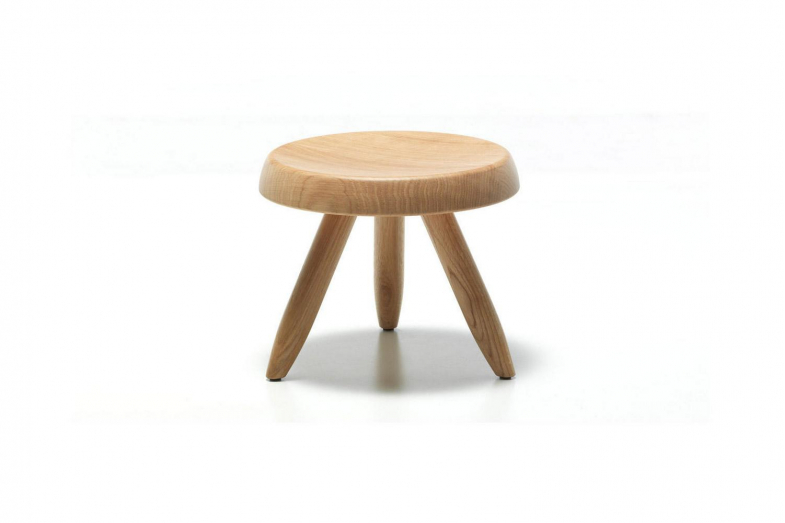 The version shown here is the lowest stool, which is a stylised version of a shepherd's milking stool hence its name. 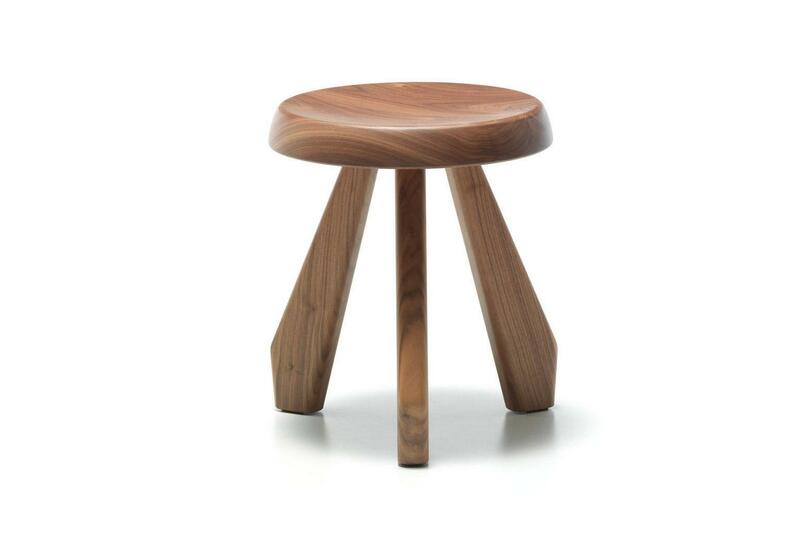 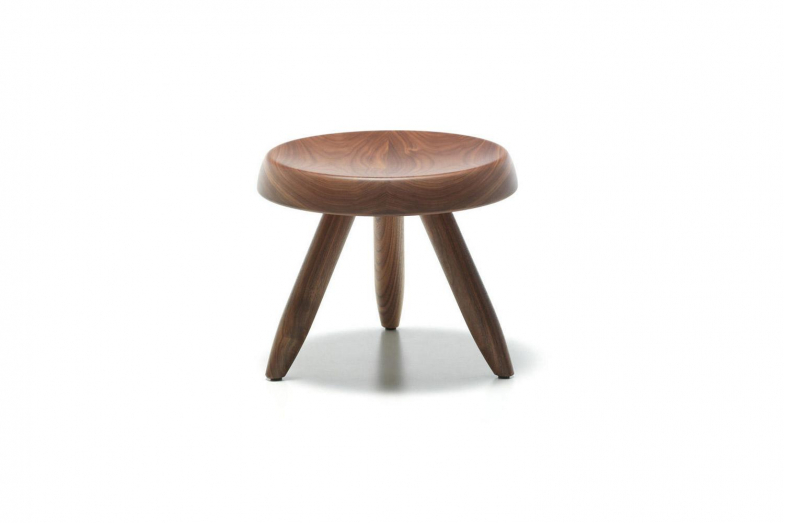 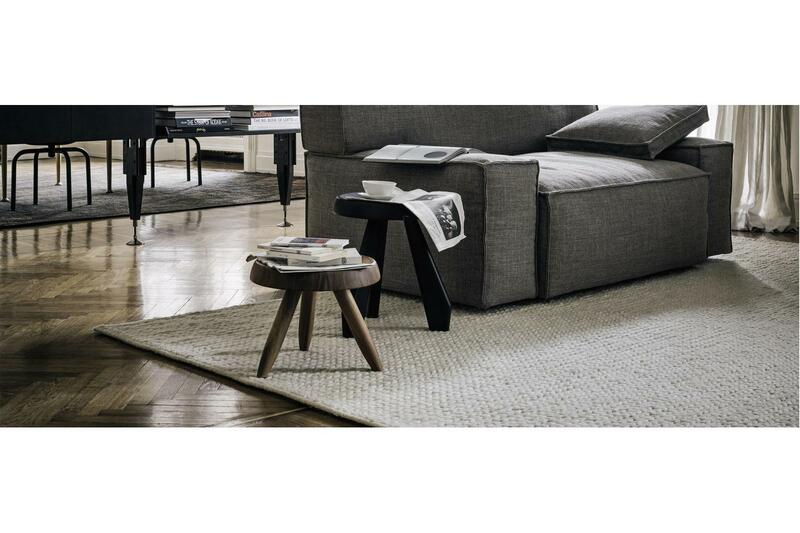 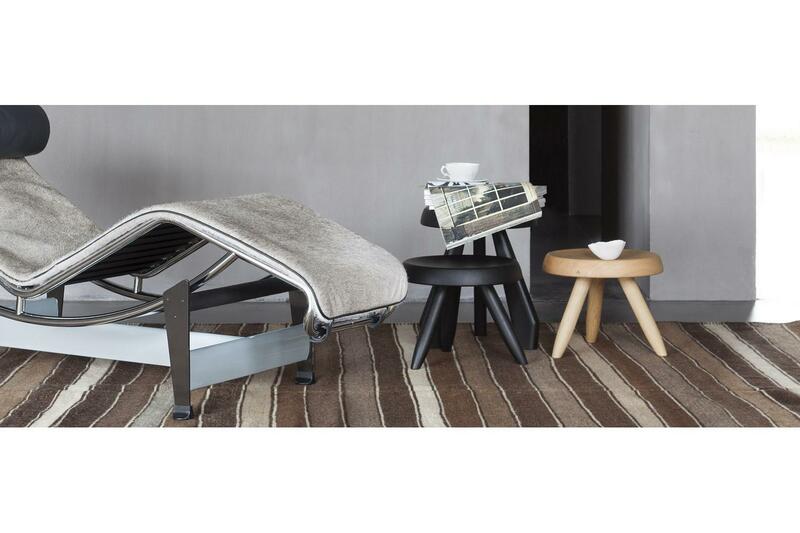 This stool can be used alone, or combined with the higher stool, the Meribel, both can also be used as a small table.